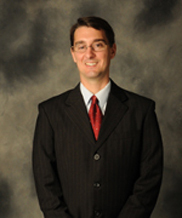 Mr. Sullenger began his career in Nashville, Tennessee, where he served as a judicial clerk and practiced in a mid-size law firm for three years. In his private practice, Mr. Sullenger represented employers of all sizes in employment litigation, employment law compliance matters, and commercial litigation. His work spanned numerous industries, including contractors, newspapers and television stations, retailers, music companies, transportation companies, and healthcare companies for employers located in Tennessee, Kentucky, Alabama, Indiana, Texas, Michigan, and Florida. In late 2005, Mr. Sullenger and his wife returned to their hometown of Paducah, Kentucky to address some family matters. Mr. Sullenger spent an unhappy year as a law professor before deciding to resume helping people in the real world by opening the Sullenger Law Office. Honors and Activities: High Honors; Order of the Coif; Who�s Who Among American Law Students, 2001; Chicago-Kent Journal of Intellectual Property, 1999-2000; Dean�s List; Certificate in Litigation and Alternative Dispute Resolution; Certified Mediator by the Center for Conflict Resolution of Chicago, IL; CALI Awards for highest grade in Pre-Trial Litigation and First Amendment. Honors and Activities: Dean�s List, Spring 2001; Vanderbilt Scholastic Excellence Award for highest grade in Copyright Law; Trial judge in Vanderbilt Mock Trial Competition. Honors and Activities: Woodcock Society; Golden Key Int�l Honor Society; Phi Alpha Theta Int�l History Honor Society (president); Pi Sigma Alpha Political Science Honor Society; Student Council (representative) 1996-97; Student Senate (1997-98); Member, student government election commission & commissioner of student government election appeal board, 1998. �Silencing the Blogosphere: A First Amendment Caution to Legislators Considering Using Blogs to Communicate Directly with Constituents,� Richmond Journal of Law and Technology, 13 RICH. J.L. & TECH. 15 (2007), http://law.richmond.edu/jolt/v13i4/article15.pdf. "Burning the Flag: A Conservative Defense of Radical Speech and Why It Matters Now,� University of Louisville Brandeis Law Journal, 43 Brandeis L.J. 597 (Summer 2005). "Only We Can Save You: Why and When Non-Consumer Businesses Have Standing to Sue Business Competitors Under The Tennessee Consumer Protection Act,� University of Memphis Law Review, 35 U. Mem. L. Rev. 485 (Spring 2005). "Unbiased Investigations Essential to Alleged Employee Wrongdoing,� Business Insider (Tennessee Chamber of Commerce and Industry) (November 2004) Co-author with R. Eddie Wayland, Esq.